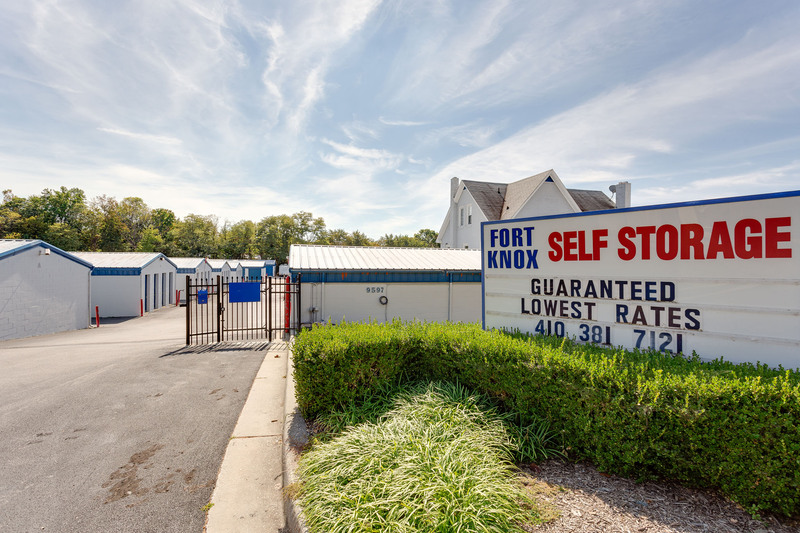 Self Storage in Columbia, MD 21046 | Self Storage Services Inc.
Fort Knox Self Storage – Columbia is conveniently located on Berger Road, directly next door to BA Auto Care. Our facility is great for businesses and residents of Columbia, Laurel, Elkridge, North Laurel, Jessup, Savage, Guilford, and other communities in Maryland. We’re just off Patuxent Parkway! Welcome to Fort Knox Self Storage – Columbia! Whether you have a single car or a full fleet of commercial trucks, our gated storage facility is ideal for short and long-term vehicle storage. Maybe you want to store your car because you’re moving overseas. Perhaps you’re looking for a place to store your RV during the year when you’re not travelling. Could it be that you just want to make sure your vintage car is stored in a secure facility? Whatever your reason may be, our team will make sure you end up storing your vehicle in a way that makes you comfortable. Lakes in Columbia offer clean spots for boating, so if you’re someone who enjoys taking out your boat for a swim every once in a while, you’re sure to benefit from our self storage amenities, like auto billing, perimeter fencing, gated access, 24-hour security monitoring, and more. There’s even a place for students! If you’re currently studying at Howard Community College or Lincoln Technical Institute, for instance, you can search our storage units and choose the right one for you. We will make sure you have everything you need, including plenty of room for your items, super convenient rental trucks, and all your questions answered about the rental process, so call us today!